IFS caters to a variety of industries and real estate properties including Commercial Offices, Shopping Malls, Hospitals, Hotels, IT Parks, Manufacturing Plants, Automotive Workshops. 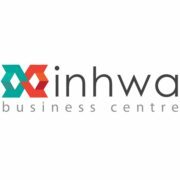 Inhwa offers you a place where you can start working from the first day. Fully furnished, managed and staffed office built in 15,000 sq ft to suit your needs. Positioned the growth city of Gurgaon, Inhwa Business Centre offers you unparalleled choice of space and convenience.